Hello! I'rm entering it into Funky and Frilly's "Anything BUT a card with a twist !" Challenge which you can find here : http://frillyandfunkie.blogspot.com/2012/10/anything-but-card-with-twist.html. The twist is that the item must hold something "hidden" inside of it. Here is a journal which I altered, you may be asking yourself how does this fit into the twist? Keep looking at the photos and you will find out why! The tag is photographed on top of the back cover of the journal. 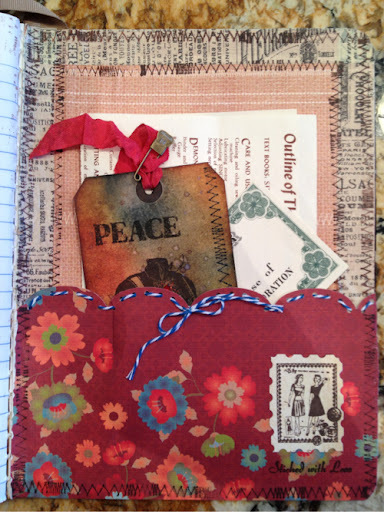 This journal is perfect for seamstresses and quilters, or anyone who loves all of the vintage sewing images! I've made several of these as gifts for friends. Thanks for stopping by and if you like what you see and want to see more, please subscribe...thanks! 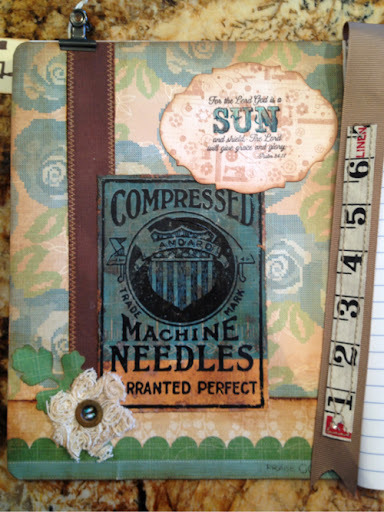 wow, I luv this, so sweet...I have a thing for journals and this is the sweetest...have a super fun day! 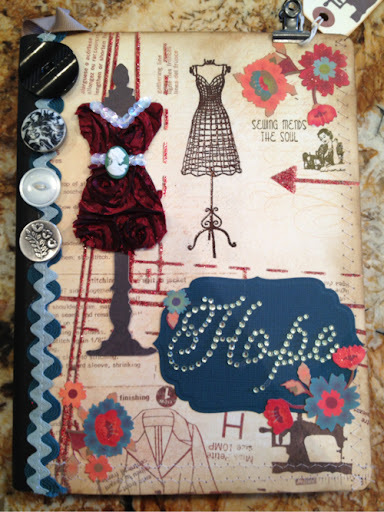 I really like all the different textures you used on this, and your hidden tag is perfect! Thanks for joining us at Frilly and Funkie, Adrienne. This is fabulous. Great details. Thank you for joining us at Inky Impressions. Wow, this is beautiful! 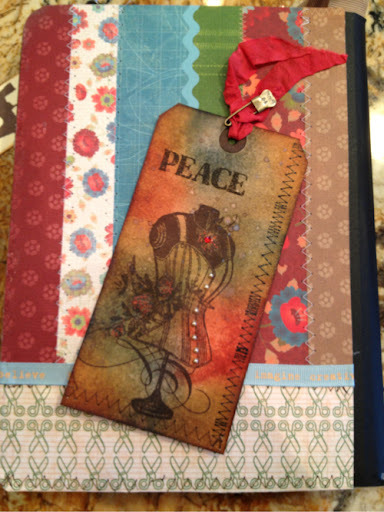 Thanks for sharing it at Inky Impressions challenge! Love this sewing themed project and your "twist" is perfect! Thank you for joining us at Frilly and Funkie! So fun...so many things to see! Love your hidden tags and the inside is awesome! Thank you so much for playing along with us at Frilly & Funkie this fortnight!! !